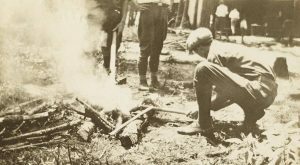 A scrapbook provided by the Wilson County Public Library documents the adventures of Boy Scouts in Wilson County from 1925-1932. This scrapbook contains images of swimming, hiking, tent life, boating, troop portraits, and more. 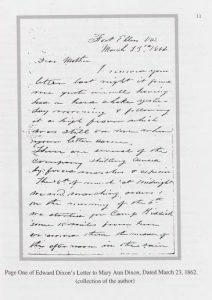 Many images contain handwritten identifications noting the date, activity, location, or individuals in the images. 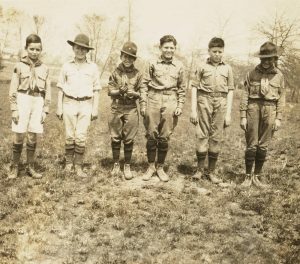 The Boy Scouts of America was founded in 1910, so this scrapbook documents early BSA groups in Wilson County. Boys of all ages seem to have taken part, with many activities looking similar to Scouting that takes place today. 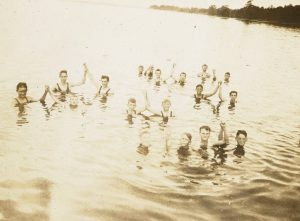 One image from 1929 shows boys swimming using the “buddy system” where each camper is in charge of monitoring the swimming of their buddy. 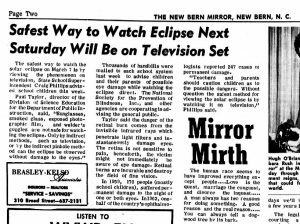 This system is a safety protocol still advocated by the Boy Scouts today. 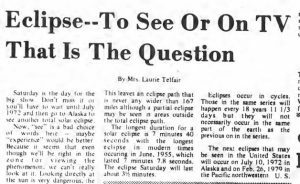 To take a look at the scrapbook click here. 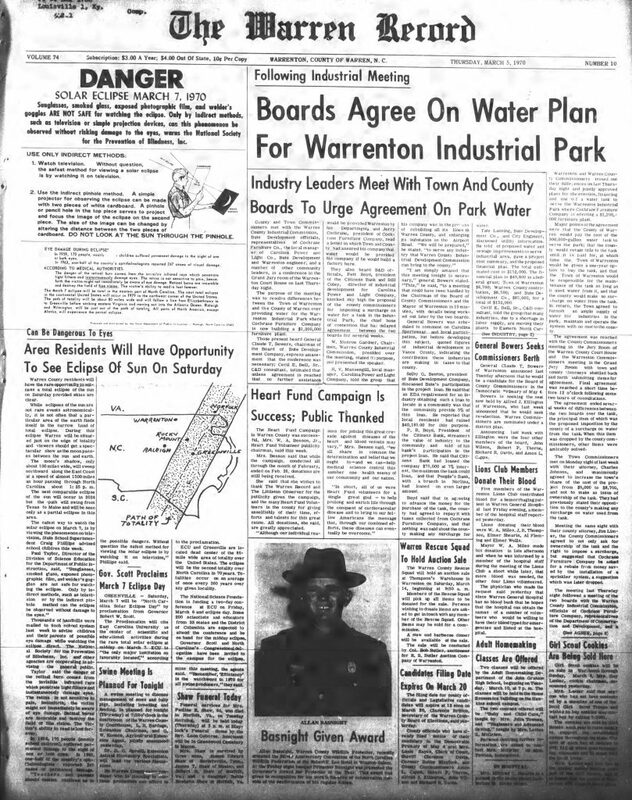 To see more materials from Wilson County Public Library visit their partner page, or take a look at their website. More funeral programs and obituaries from Durham County Library are now online. These are part of the R. Kelly Bryant Obituary Collection and cover funerals in and around Durham County from 1934-2013. 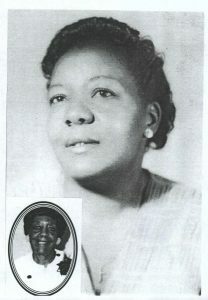 R. Kelly Bryant (1917-2015) was a Durham historian and active community member who collected the stories of African-American Durham residents via obituaries and funeral programs. The newly digitized additions cover the last names Cobb through Furtick. These join the first batch from this collection which cover the names Adams through Coachman. The obituaries and funeral programs are fully text searchable, and are a great source of genealogical information. Birth and death dates, names of family members, and biographical information are often included. You can browse or search the digitized items in the collection by visiting the R. Kelly Bryant Obituary Collection exhibit page on DigitalNC. 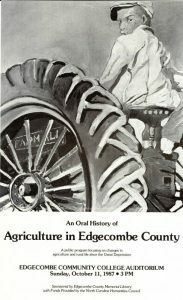 More information is also available through the collection’s finding aid on the Durham County Library’s website. To learn more about Durham County Library, visit their DigitalNC partner page or take a look at their website. 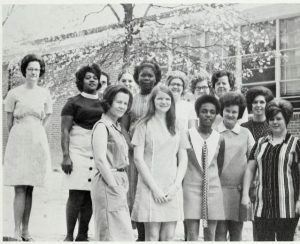 Yearbooks from Johnston Community College are now available on DigitalNC. These yearbooks date from 1972-1992 and follow the school’s shift in focus from a technical institute to a community college. Johnston Community College, first called Johnston County Technical Institute, was established in 1969 and became a community college in 1987. JCC is located 30 miles east of Raleigh and offers a range of degrees and certificates in fields such as health science, business, and education. 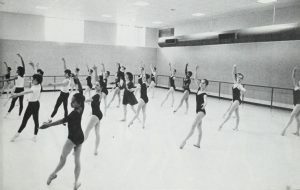 The Retrospect yearbooks give a glimpse of student life at the school and document clubs, activities, events, and academic programs. 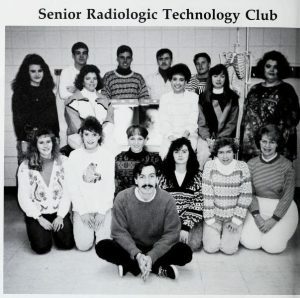 The earlier yearbooks feature sports like basketball and cheerleading, and clubs like the Practical Nurse Club and the Business Club. Later yearbooks feature a greater range of activities including Floriculture Design Club, Art Club, and many more. This change reflects an increase in student body and growth in programmatic offerings through the years. To browse these yearbooks, click here. To learn more about Johnston Community College take a look at their partner page, or visit their website. 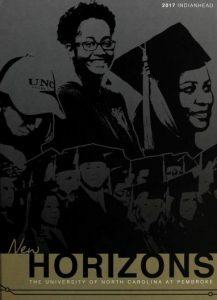 The 2017 edition of The Indianhead, University of North Carolina at Pembroke’s yearbook, is now available on DigitalNC. This edition joins many previously digitized UNC Pembroke yearbooks dating as far back as 1942. 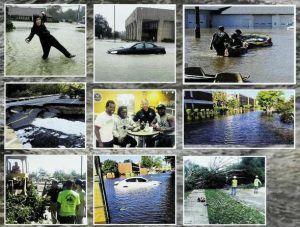 Part of a collage documenting Hurricane Matthew’s effects on the UNCP campus. To learn more about UNC Pembroke, visit their partner page, or take a look at their website. 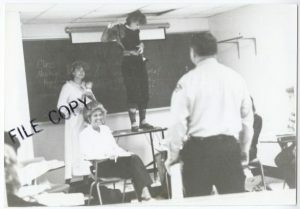 Another batch of photos from Central Carolina Community College is now available on DigitalNC. 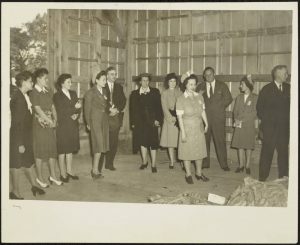 This new batch brings the exhibit, A Pictorial History of Central Carolina Community College, to just over 2,400 photos. This batch documents the Nursing, Paralegal, Secretarial Science, Telephony, Associate in Arts and University Transfer Associate in Science programs. 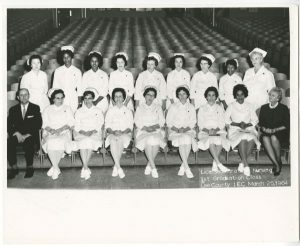 Featuring photos from as early as their first graduating class in Lee County on March 25, 1964 and on into the 1990’s, the images from the Practical Licensed Nursing degree program demonstrates the evolving student body, curriculum, technology and, of course, nursing uniforms. 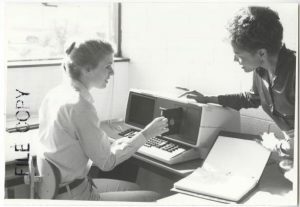 Likewise, the Secretarial Science program gives viewers a glimpse into how this profession evolved as technology did. In particular, these collection of images capture the exciting transition from typewriters to early desktops. 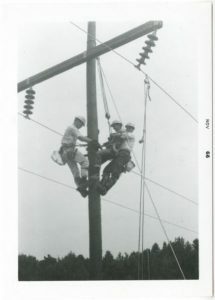 In contrast to these programs, the Central Carolina Technical Institute Telephony and Electrical Linemen program’s set of photos display the waning profession of telephone linemen and women. These set of photos present the hands-on training students received as they worked with lines, wires, circuits and telephone poles. 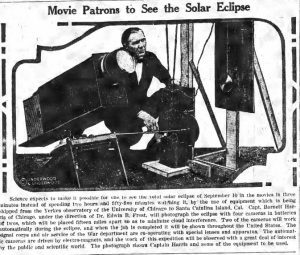 Hands-on training is further demonstrated in many other class photos. One of interesting example, comes from a Psychology class that appears to be engaging in some kind of simulation activity that included persons in costume and law enforcement officers. While it is unclear exactly what the activity entails, it is clear that the students were having fun participating.